-She was a gorgeous child, a ravishing young woman and is still good=looking matron. In the profile photo where she dances with Stefano, she looks a lot like Grace with darker hair. Charlotte is her spitting image but without the warmth of the smile. PS.She lost her beauty extremely fast even if she had so much sorrow in her life. Kristina, I think she is still very pretty. 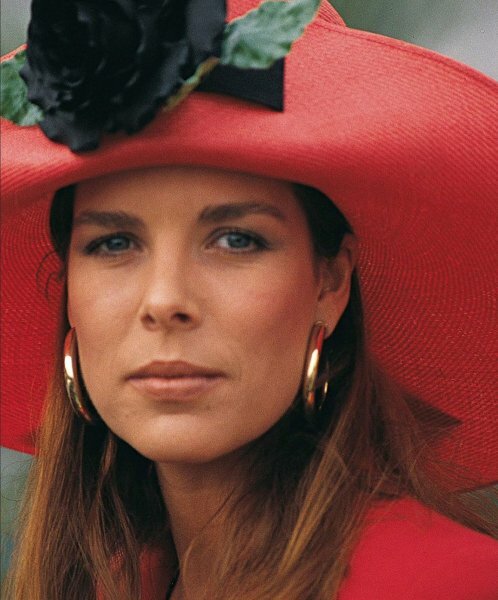 Romana, here is no photo of her being 60 years old. All of them are old photos. She aged very much in last few years. She is still beautiful at 60, but yes she has aged visibly in the last years. Of course, some of this is due to the natural aging process, but far too much of it is due to the heavy smoking habit she acquired when she was young. Smoking prematurely ages every part of the body including the face. Too bad that her younger sister and daughter, Charlotte, have followed in these footsteps. Happy 60th Princess Caroline! She is my all time favourite princess. Has seen more than her share of tragedy in her life and appears to be a very warm and loving mother and grandmother. She just seems to get better with age! Her daughter looks a lot like her, but with an attitude. She was an extremely beautiful woman in younger years. And she still is goodlooking now! acclaimed for her fashion sense, her linguistic abilities and her collection of husbands (not all of them her own) but her morals are no role model for anyone. 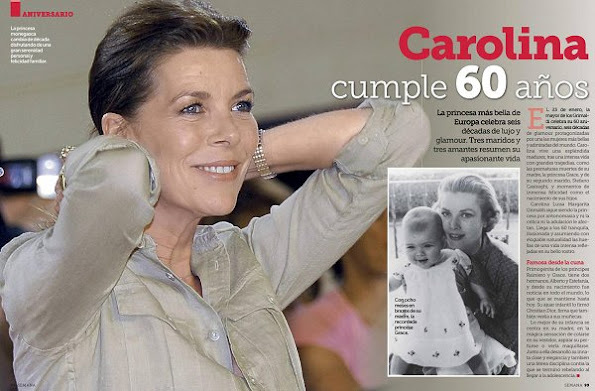 She has lived to reach 60, another achievement. She was and is very very beautiful. I think Botox injections are the one of the best inventions. My Mother have them with stunning results and I will too when the time will come. The key is just not to go overboard with them. Why to look old when you can look young. 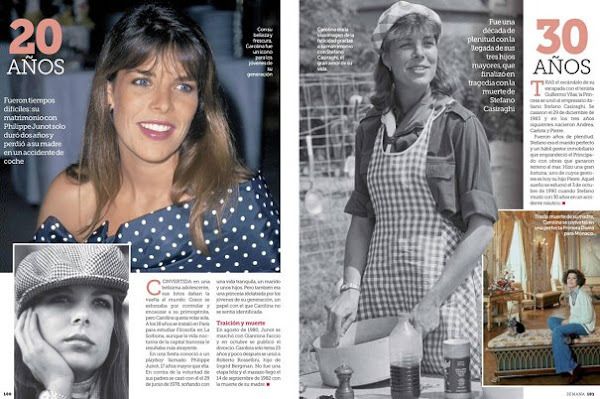 Princess Caroline is very stylish, classy, intelligent and a good looking women. I think it is a confident women that doesn't have any form of cosmetic surgery done. She is ageing gracefully. 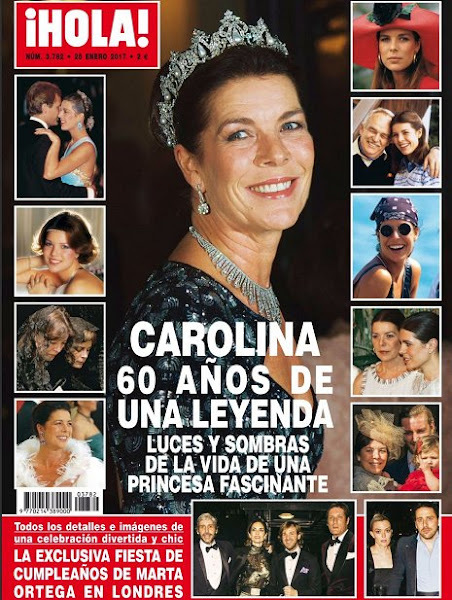 Princess Caroline was very much a beauty in her time, however the ravages of sorrow, smoking and too much sun shows in her latter photos. She is still elegant despite all this; she certainly looks her age if not more. OMG why do you allow such rude comments from obviously frustrated/envious people? I believe some screening would do your blog some good. Stop the trolls!